Tend in.view™ (which stands for “intelligent view”) software is a cloud-based robot performance management solution. It lets users remotely monitor and analyze the performance of their production robots in real time, from any location, via their mobile device. Can you give us a little background on Tend and an overview of your Smart Cloud Robotics platform? Tend (www.tend.ai) is an innovative Boston-based startup that was founded in 2016 with the goal of keeping manufacturing leaders connected to their production lines from anywhere, at any time. In April, we introduced the industry’s first hardware-agnostic, smart cloud robotics software platform that allows manufacturers to remotely control, monitor and analyze the performance of their production robots from their mobile devices. Tend takes a unique approach to IIoT by giving users access to critical data without requiring new hardware investments, extensive integration or even software downloads, so companies can continue leveraging the equipment and staff they already have in place. As I like to put it, we’re providing Industry 4.0 insight from 2.0 era infrastructures. You recently released a new robot monitoring and analysis tool called in.view™. What is the product designed to do and what types of companies are using it? Tend in.view™ (which stands for “intelligent view”) software is a cloud-based robot performance management solution. It lets users remotely monitor and analyze the performance of their production robots in real time, from any location, via their mobile device. It offers a range of features designed to A) alert an operator when something is wrong and B) monitor the performance of their robots to help them troubleshoot issues, improve efficiency and reduce downtime. The product is being used primarily by two groups: enterprise manufacturers whose operators need to keep track of a large volume of robots, often across a distributed production network; and systems integrators who provide remote support and troubleshooting to their customers. However, it’s an appealing option for a small to medium sized business as well, because it’s available as an affordable SaaS model that is equally effective and scalable for any size implementation. Which types of robots does Tend work with? The Tend smart cloud robotics platform is robot-agnostic, so we work across the leading industrial and collaborative robot models. Our system is currently compatible with Fanuc, Universal Robots and Rethink Robotics models, with many more to be added over time. You mention it's a Software as a Service (SaaS) product. Are you willing to share how much it costs and what the installation process might be? Absolutely. Tend in.view is currently available for $250 / month, with no hardware costs, setup fees or contracts required. Since it’s delivered as a SaaS model, there’s nothing to install. Product updates are available automatically, delivering new features and functionality to our customers with each new release. And scaling from one to many robots can be done as gradually or quickly as the customer prefers, based on their needs. This allows us to support SMBs every bit as cost effectively as enterprise manufacturers. Depending on how many robots they’re connecting, many of our customers can set it up themselves in a matter of minutes. The system connects to their robots through an edge device that we call a sidekick, which provides a secure gateway to the internet. If a customer needs to add a camera to their system (for remote work cell monitoring), they can use their own or we can provide one for them. Do you have any feedback or examples of the benefits your customers are realizing? I’ll give you a common scenario from one of our biggest customers, who’s a major supplier of household appliances. In this case, a single engineer is responsible for managing 75 production robots across 7 sites throughout the United States. For him, being the first to know if there’s an error on one of their robots is critical, because his goal is to get the problem solved and get the line back up before any of the plant managers are even aware of the issue. So with Tend in.view, he gets an alert on his phone the minute there’s an alarm, and is able to remotely access the robot log and other key data to better understand what happened so he can fix it quickly. He’s also able to look at macro-level data about which robots and lines are performing more optimally over time, which helps him to take care of potential issues proactively. But for him, being the first to know is the most critical aspect of the solution. Where do you envision the robotics market 5 or 10 years in the future and how are Tend products working to monitor these robots? Over time, robotics has evolved to meet the changing requirements of the manufacturing industry. With industrial robots, their speed, power and precision have always been central to their design. They’re built for high volume, low mix applications, and intended for use in protected areas where human occupancy is restricted. As manufacturing has become more on-demand, a newer class of robots has emerged that can be programmed (or “trained”) and deployed much more quickly and safely. These collaborative robots, or cobots, have grown in popularity because they fill a niche (working safely next to their human counterparts) that industrial robots are poorly suited for. These robots emphasize safety, ease of use and flexibility, meaning they can be deployed and re-deployed quickly in lower volume, higher mix applications. The next great advancements in robotics will be driven primarily by software, which has the potential of adding functionality and value to both existing and emerging hardware technologies. Simply put, software can make robots smarter, more capable and more connected. 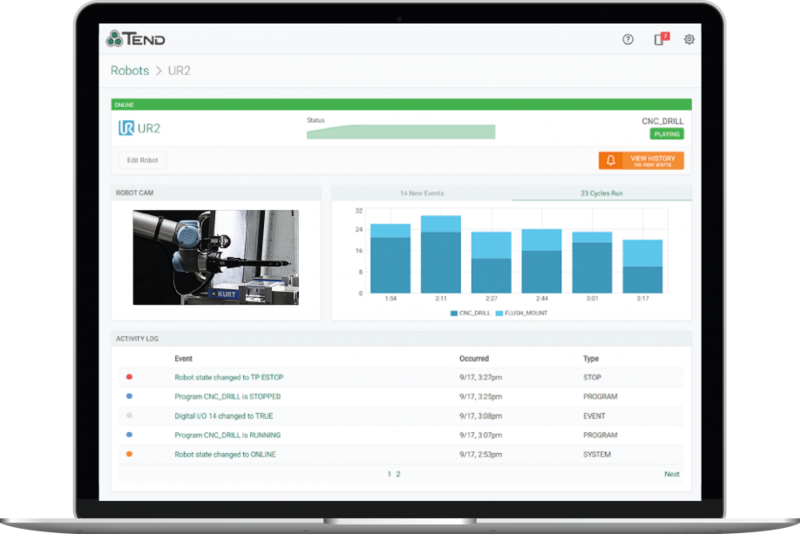 Tend’s smart cloud robotics platform is an excellent example of how this trend is helping manufacturers. From day one, we placed a premium on being able to work with any type of production robot, so we’re equally capable of adding value to both industrial and collaborative applications. In doing so, we allow customers to continue leveraging the technologies they’ve already invested in, while quickly and cost effectively adding greater connectivity, control and insight into how those robots are performing. And as manufacturing facilities continue working to become a truly connected enterprise, Tend can help put companies well ahead of the game in developing own their IIoT-enabled infrastructure. As Tend's Chief Marketing Officer, Eric is responsible for defining the company's brand and ensuring it is well positioned for success. 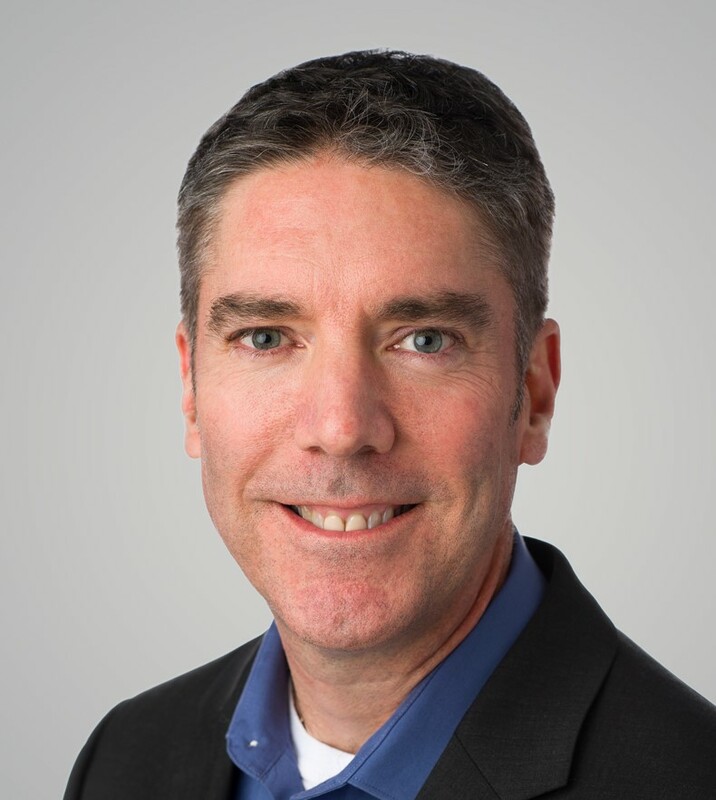 Eric has been in the manufacturing automation space for nearly 20 years, and has been a regular speaker, content contributor and exhibitor at most major industry events over that time. He has been part of a wide range of innovative and disruptive technology companies throughout his career, including GE Fanuc, PTC and Rethink Robotics, where he helped introduce collaborative robots to the world in 2012.